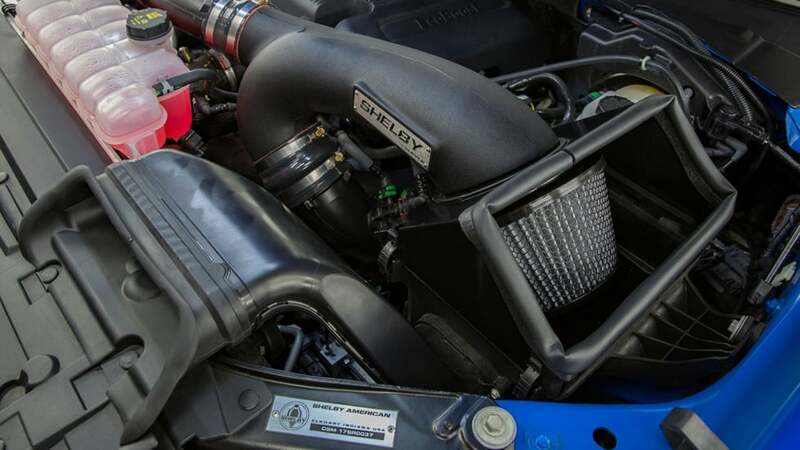 Under the hood, the Shelby Raptor has a custom cold-air performance intake system and tune, feeding the Ford Performance EcoBoost engine. This gives the twin-turbo V-6 an amazing 525+ horsepower and an astonishing 610+ foot-pounds of torque. 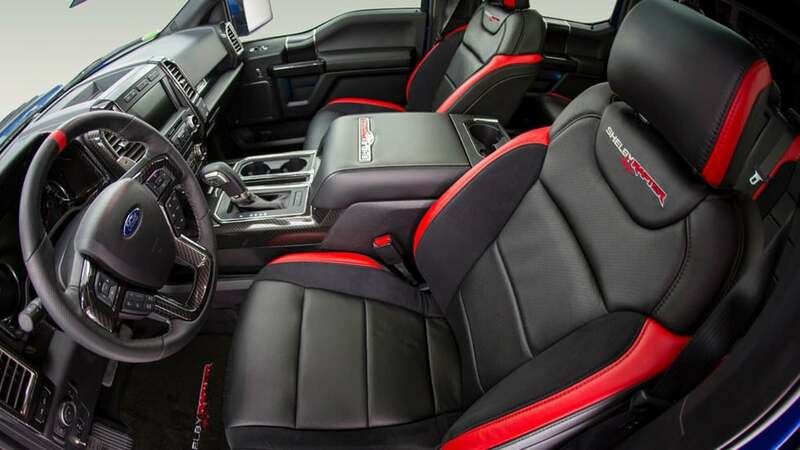 Every Shelby must look as good as it performs, so this super truck has a fully functional ram air hood adorned with Shelby lettering and striping. 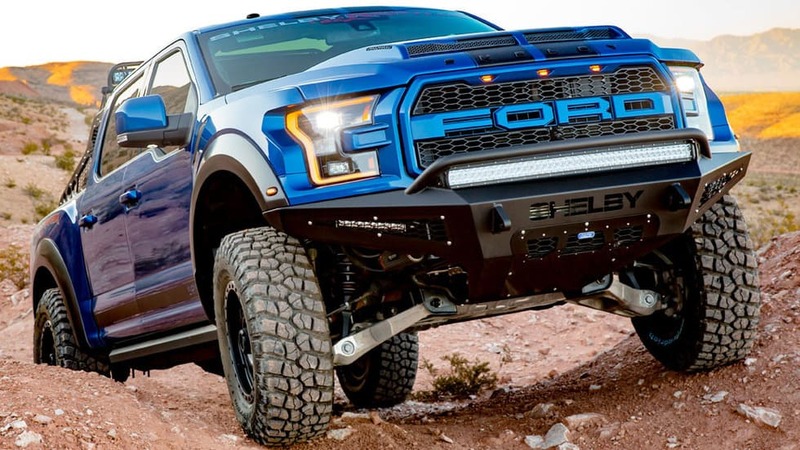 A custom front bumper, rear bumper and chase rack surround the ruggedly handsome truck. It even features eight LED light configuration, as well as mounts for two spare tires. Metal rock sliders with automatic running boards flank the sides for an easy step after the 3” lift. 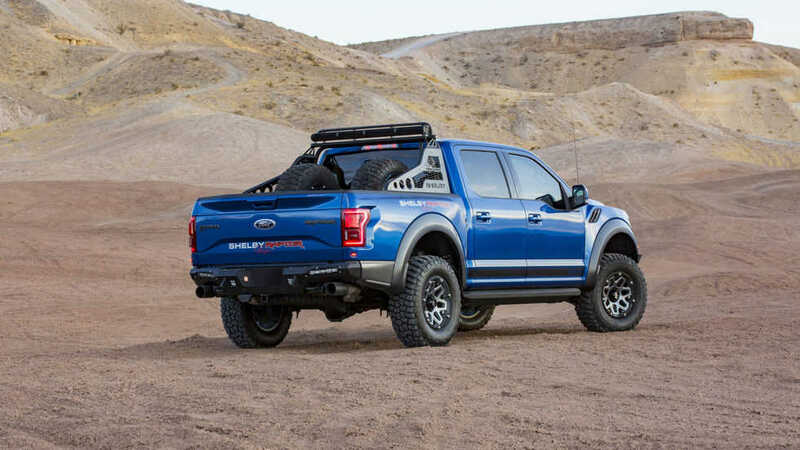 The new Shelby Raptor may only be a tuned a Ford Raptor – but it has a LOT more power on tap. 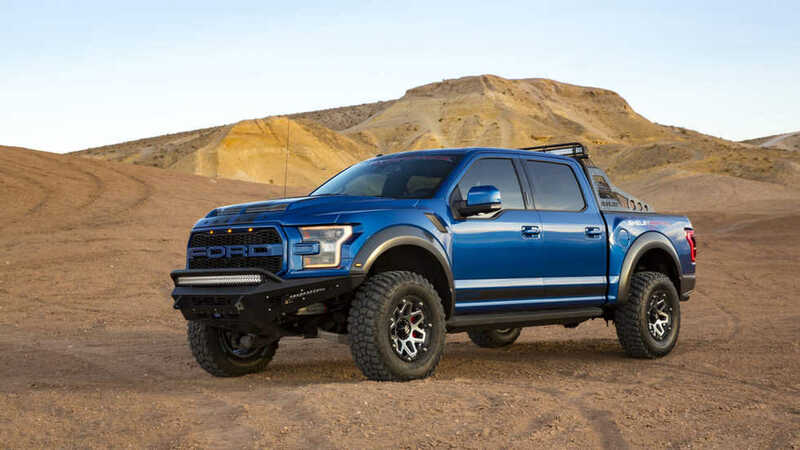 The Shelby Raptor is available for purchase through authorized Shelby Ford dealers in the United States and Canada. 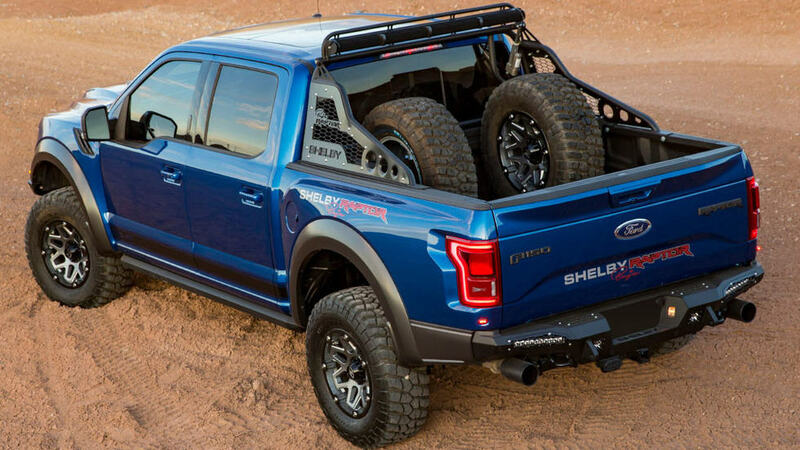 Owners of 2017 Ford Raptors can have Shelby American transform their truck through an authorized Shelby Ford Dealer.